Who is The Crisis Quarterback? 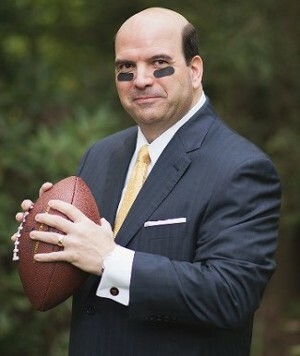 Doug Squasoni is the founder of TCQB LLC (d/b/a The Crisis Quarterback), which counsels and advises companies on how to prepare for, manage through, and recover from difficult operational situations arising in the game of business. Doug serves his clients by bringing over thirty years of diverse business, financial, and legal experience to each engagement. One constant across the different phases of his career has been Doug’s willingness and ability to step into leadership roles in difficult and complex corporate distressed environments. Doug has advised or led troubled companies in several different capacities, including serving as Chief Restructuring Officer, sole offshore director, General Counsel, outside legal counsel, and investment banker. Throughout his professional life, Doug has demonstrated a proven adeptness at balancing competing priorities and successfully resolving urgent and crisis situations arising in the corporate environment by using a practical, results-focused approach based on developing an understanding of the interests and motivations of key constituents, managing their expectations through clear communications, and building consensus by inspiring others to focus their efforts on driving the process to deliver results. Prior to launching his own firm in October 2013, Doug was a Managing Director with BNY Mellon, and its predecessor, Mellon Financial Corporation, for over seven years, performing a variety of special executive roles in the Asset Management division, culminating in his three-year appointment as the Chief Restructuring Officer overseeing the initial turnaround analysis and eventual liquidation of Ivy Asset Management LLC, which at the time of the assignment was a global fund-of-funds subsidiary of BNY Mellon with over $5.5 billion in assets under management. Serving as CRO and functioning in the capacity of Ivy’s President and CEO, as well as its’ Chief Investment Officer, Doug was responsible for providing leadership, setting strategy, rendering ultimate senior managerial and investment decisions, and overseeing all day-to-day wind-down activities. Doug managed and supervised the entire liquidation team, which was tasked with winding down business operations, harvesting and returning capital from over 735 underlying hedge fund investments to over 2,000 investors, and dissolving over 140 different fund of hedge fund vehicles, over a three-year period. Before winding down Ivy, Doug managed, monitored, and coordinated the initial strategy review and approval, investment process, and repatriation decisions of BNY Mellon’s $1 billion internal portfolio, which was comprised of proprietary capital used to assist in the launch of new asset management products by individual boutique subsidiaries worldwide within the Asset Management division. Doug originally joined Mellon Financial Corporation to serve as the General Counsel of Mellon HBV Alternative Strategies LLC, a wholly-owned hedge fund subsidiary, which at the time was a registered Investment Adviser that managed four master-feeder hedge funds and two private equity funds, with global assets under management in excess of $1.1 billion. Very shortly after becoming the General Counsel of Mellon HBV, Doug was tasked with formulating, coordinating, and establishing policies and procedures for dealing with the suspension of subscriptions and redemptions from several of Mellon HBV’s hedge funds, due to illiquidity of the portfolios. Upon graduating from law school and until he left to join Mellon, Doug practiced law at Skadden, Arps, Slate, Meagher & Flom LLP, where he negotiated and structured syndicated secured and unsecured credit facilities, bridge and acquisition financings, debtor-in-possession financings, exit financings, debt restructurings and out-of-court refinancings for both corporate borrowers and agent banks. Doug actively participated in thirty-one transactions valued in excess of $9.4 billion, with senior lead associate responsibility for fourteen transactions over a three-year period, valued at approximately $3.3 billion. In addition, he directly participated in nineteen bankruptcy cases, including Refco, Inc. and Interstate Bakeries Corporation, as well as more than ten other out-of-court restructuring engagements. Before becoming an attorney, but after attending business school, Doug was with KPMG Peat Marwick LLP, providing mergers and acquisitions advisory services to both foreign and domestic middle-market companies, predominantly focused on the manufacturing, retail, and distribution industries. Two sample engagements Doug handled while at KPMG include leading, structuring, and negotiating the sale of a $25 million privately-held aircraft components manufacturer to a $135 million publicly-traded corporation, and organizing and conducting meetings, advising on strategy, and providing follow-up analysis during several acquisition attempts (including a cross-border transaction) by a $486 million public company. Upon graduating from Boston College, Doug began his professional career with Manufacturers Hanover Trust Company initially overseeing all aspects of operations for a $25 billion portfolio of forward rate agreements and short-term Eurodollar interest rate swaps. Doug spent seven years as a trader and marketer of interest rate derivative products, working for several major financial institutions, including Manufacturers Hanover, Allied Irish Bank, Crestar Bank, and The Long-Term Credit Bank of Japan, prior to pursuing his first graduate degree. Doug received his B.A. in Economics, with a concentration in Theater Arts, from Boston College; his M.B.A., with a concentration in Finance, from Columbia University’s Graduate School of Business; and his J.D., with a concentration in Corporate and Securities Law, from Fordham University’s School of Law. In the fall of 2016, Doug returned to his alma mater, Columbia Business School, to become the Adjunct Professor of Turnaround Management, an elective offered in the MBA program by the Management division, and a course that he took in 1994 from John O. Whitney, the original creator of the course.